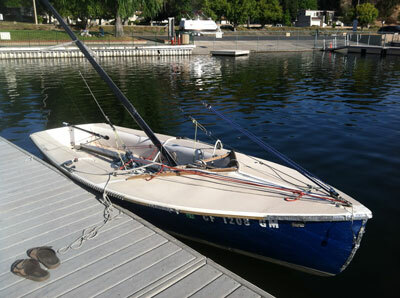 Great: sailing my C-15 for the kazillionth time in the Westlake 'Round the Island race. 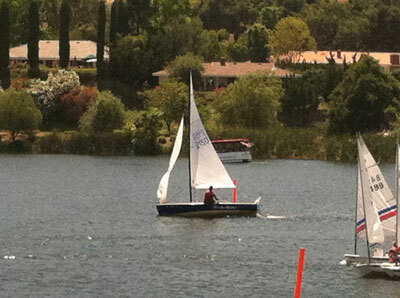 Not so great: Megan decided to sail a Laser herself instead of crewing for me. Great: a chance to do it singlehanded (!). Not so great: reverse start gave sabots a 45 minute head start. Great: took advantage of South wind to sail around the island "the other way". Not so great: wind shifted to North as I exited deadwind channel. Great: mast dropped perfectly, paddled underneath bridge, made it even into the wind. Awesomely Great: a huge puff took me past all of them to squeak by at the line.